Animal prints are essential this season and this fitted tee is at the top of our hit list. 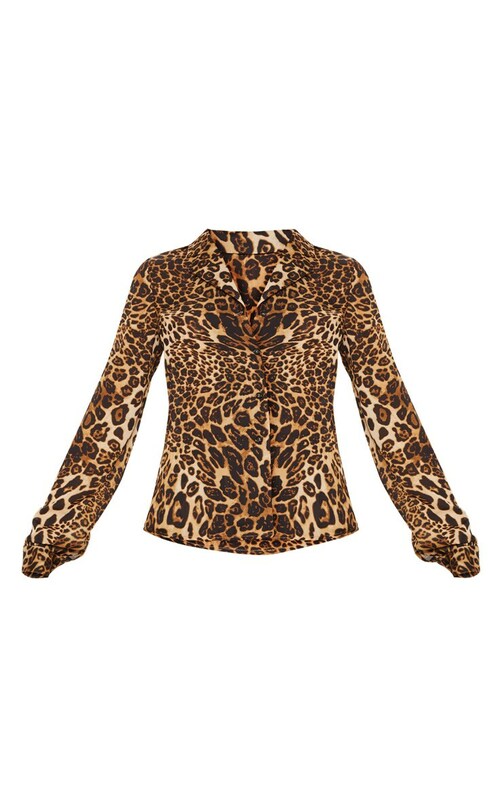 Featuring a brown leopard print fabric and a button up front. Pair it with strap heels and the matching floaty shorts for a look we're loving.